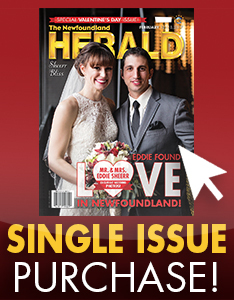 We’re all shook up over the latest Elvis news! 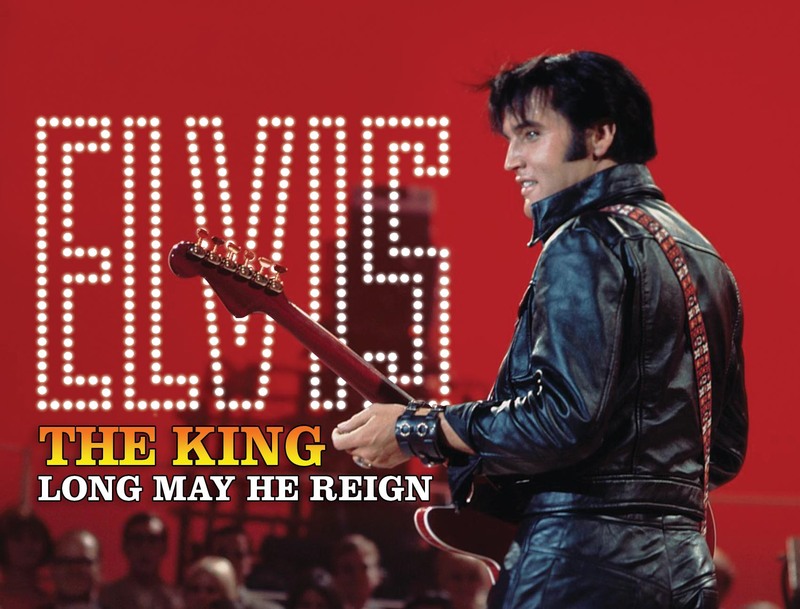 ‘The King’ is returning to the big screen for an anniversary event that will have fans jumping for joy in their blue suede shoes! Whether you’re a diehard fan or a casual listener, everyone knows the name Elvis Presley and can likely sing or at least whistle along with one of his many famous tunes. Not to mention that his iconic phrases (thank you very much), dazzling concerts and gyrating dance moves continue to be a fixture of popular culture from one generation to the next. Whichever way you slice it, Elvis is an icon, a true legend and a major contributor to the landscape of music and performing as we know it today. While the end of Elvis’ life, which culminated in his sudden death at age 42, was plagued with bad press and substance abuse issues, his beginnings were humble and full of big hopes and dreams. Born in Tupelo, Mississippi in 1935, Elvis relocated with his family to Memphis, Tennessee when he was 13 years old; an area known for its eclectic blend of music genres that no doubt helped shape Elvis into the performer he became. It was Elvis who would eventually bring the genre of ‘rockabilly’ into the limelight; a musical style that fused country with rhythm and blues. Success in music quickly led to opportunities in other areas of the entertainment industry for Elvis, who made his film début in Love Me Tender, also in 1956. Although after being drafted into the military in 1958, new music from The King was put on ice for two years. When Elvis did introduce new music, it was mostly through movie soundtracks in which he had starring roles. Elvis’ movies were generally considered critical flops, but the soundtracks pumped out some of the biggest hits of his career. This went on for the better part of seven years, until he decided to return to his throne: The Stage. On December 3, 1968, under the bright lights of Vegas, Elvis took the stage in a dazzling comeback concert. 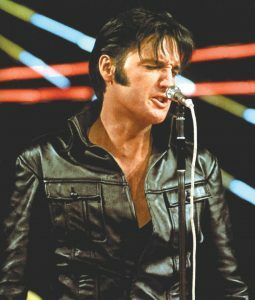 In a black leather jumpsuit, with a full band behind him, Elvis once again proved to fans and the world why he had earned the title of king. 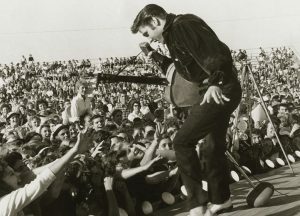 The audience was made up of diehard Elvis fans and he also treated them to a full acoustic set which music critics say was a pioneering moment for what would become the very popular, ‘unplugged’ performance style. 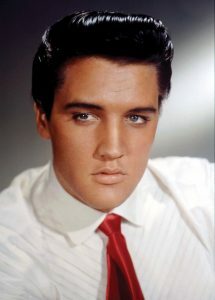 The special was the top rated show for NBC that season and led to a Vegas concert residency for Elvis. The soundtrack from the concert also resulted in two number one singles, with In The Ghetto and Suspicious Minds. In 1973, Elvis came out on top again with another television special called Aloha From Hawaii, where he made history as the first solo artist to be broadcast across the world. In a recent article for Rolling Stone, Andy Greene writes that Aloha From Hawaii was Elvis’ “final great moment” before the mounting struggles that led to his premature death in 1977. Greene also perfectly imagined what Elvis could have done, given the chance. “Had Elvis lived, the world could have hypothetically experienced the joys of a New Wave Elvis Album, Elvis standing shoulder-to-shoulder with Bob Dylan and Michael Jackson at the ‘We Are The World’ sessions. Elvis joining the Travelling Wilburys in 1989 and Elvis working with Rick Rubin in the 1990s on a stripped-down comeback album for American Recordings. He’d be 83 today and could conceivably still be touring,” he writes. But instead of lamenting over what could have been, fans will be getting an extra special treat this summer, as Elvis’ comeback special celebrates its 50th Anniversary! To celebrate the landmark occasion, the original concert in its entirety will be shown in theatres all across the world on Aug. 16 with an extra showing set for the 20th. Along with the original concert footage, movie goers will also get a rare inside look at how the special was made! Binder is also set to release a new book entitled Comeback: The Making of the 1968 Elvis Special. There is also another special project in the works, which will bring some of the world’s most famous recording artists together to celebrate the 1968 Elvis spectacle, set to air in 2019. It will be a two-hour broadcast with rare footage of the king himself and interviews from those who were involved in making the show 50 years ago. Dust off those bejeweled jumpsuits and slick back that hair, and celebrate the return of The King!